You get all-terrain vehicle babies, is what. 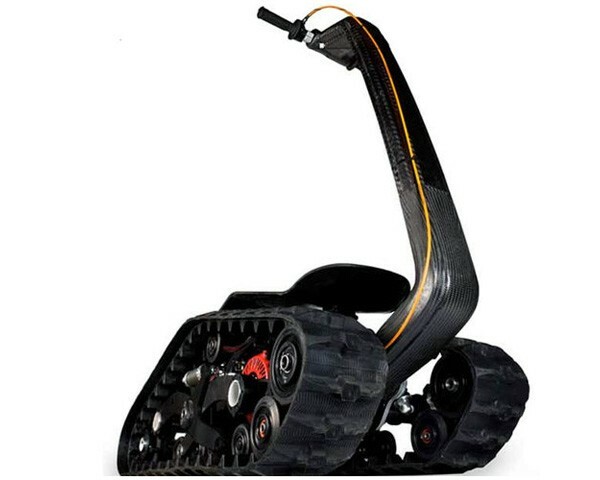 Ben Gulak, the youngster that brought us the Uno electric unicycle, is back with a new transportation device, this time aiming to woo military procurement types with a rugged and extremely versatile one-man transporter. The DTV (Dual Tracked Vehicle) Shredder has enough torque to tow an SUV, but is also flexible enough to turn within a circle of four feet and scale slopes as steep as 40 degrees. To be honest, though, nothing we say can do justice to just how badass this thing really is, you'll want to see the videos after the break for that. Our favorite part? The Shredder can be remotely operated and its makers even advertise its ability to carry offensive weaponry and serve as a "robot attack platform." What self-respecting supervillain wouldn't want an army of those?